Julian Assange claimed that all citizens are now "part of the what we traditionally call the state, whether we like it or not, and we have no choice," at SXSW interactive today. 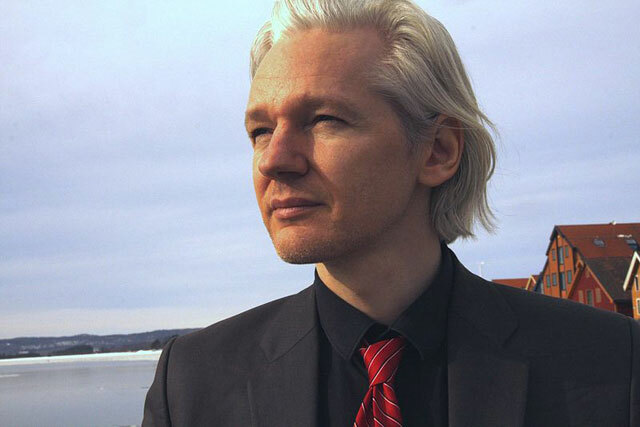 Speaking via a live Skype link-up from the Ecuadorian embassy in London today (8 March), Assange claimed the NSA and GCHQ has "become unfettered" and "abused our lives on the internet" through its surveillance activity in recent years, referencing the recent revelations by Edward Snowden, alongside his own work at Wikileaks. In a conversation with Benjamin Palmer, the co-founder and chairman of The Barbarian Group, Assange said the internet is "now used as the most aggressive form of state surveilance ever seen," and that people are now living in a "new totalitarian world in the sense that no one can exist outside of surveillance". The live link up itself was plagued with technical glitches, and at one point the audio completely cut out, however, Assange managed to put forward his theory about the "PR method" of the NSA and how it has changed following the Snowden revelations and the work of Guardian journalist Glen Greenwald. He said the NSA had been jokingly referred to as "the No Such Agency" because its previous PR method was to "simply not respond" to situations and "not give oxygen" to media reports criticising the agency. Now, however, he said this policy will have to be replaced as people are made more aware of the NSA's activities through work by investigative journalists and whistleblowers, as the public becomes more aware of its operations. Yesterday Google executive chairman Eric Schmidt told how he met with Assange to discuss the ethics of leaking information online, stating that Assange then leaked the transcript of their conversation. Assange via Skype link up at SXSW interactive.